Anyone who ever wanted to buy a car would have come across some models in used-car dealers which are ‘unregistered’ while the term ‘recon’ has been used as well. So what does these terms mean? For the inexperienced, they can be quite confusing because they are not the same as new cars. In most cases, unregistered cars are usually cheaper than new cars although they could be the same model. What unregistered cars mean here is that they have been imported from other countries. As such, they are not ‘registered’ with JPJ (Jabatan Pengankutan Jalan) or the Road Transport Department of Malaysia. This means that you could be looking at a Toyota Camry which looks similar to the current model being sold at Toyota showrooms in Malaysia. What is happening here is that because there is no owner, the car cannot be registered. Should you agree to buy this particular car, then the dealer will register with JPJ and hence, it gets a number plate. 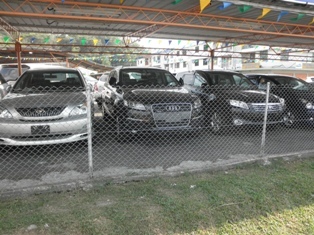 Most of the unregistered cars here are actually used cars that have been imported from other countries. Some have been brought in from nearby neighbours like Thailand while it is quite common for these cars to come in from European countries like the United Kingdom as the vehicles are right-hand drive models. Meanwhile, recon is the short term used to express ‘reconditioned’ which basically means that the car has been imported from another country and then probably given a makeover in terms of faulty parts or something like refurbished to suit the laws of the country. This is to adhere to the JPJ rules here in terms of tinting, engine tuning and other issues. Recon cars are usually brought in using the AP or Approved Permit extended by the government. There are many APs like working AP, student AP and such which can be used to import vehicles at either low or no tax. This can then be translated to higher profits for the dealer which is why some dealers are able to have large showrooms that feature the latest models of certain brands like the Toyota Alphard and Vellfire. PreviousWhat to do in a ‘small’ accident? Whoops! I locked my keys in the car. What should I do?